Especially the Type R. God, we love that car. Hands down, the Acura Integra (later RSX) was one of the best front-wheel-drive sports cars of all time. It also helped usher in one of the best engine technologies available to the masses: VTEC. Donut Media has made this cool video tribute to the Acura Integra and boy, does it bring back memories. Back in the later 1980s, Japanese automakers realized they weren’t selling enough cars in the US, so they began, starting with Toyota, to introduce luxury brands. While Lexus played things safe and Nissan’s Infiniti couldn’t find an identity, Honda’s Acura did just about everything right, beginning with the original NSX. Of course, not everyone could afford it, or even the highly regarded and fun to drive Legend sedan. But then there was the Integra, which Acura probably could have simply added leather to and a few other things to what was basically a Honda Civic. But no, instead the Integra offered things such as disc brakes on all four wheels, a retuned suspension, and powered by a then-new dual overhead cam inline-four. 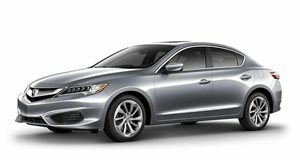 This combination was a smash hit, and Acura sold nearly a quarter million units of the first generation model. Acura basically improved the Integra with each new generation, and the Type R is still an icon. When the renamed third-generation, the RSX, arrived for 2002, the double wishbone suspension was gone, but it still remained a good driver’s car. When the RSX was killed off after ’06, Acura was never the same. Damn shame.